One People’s Trash Is Another People’s History | Yo, Yenta! The Islamic authorities who have jurisdiction over Jerusalem’s Temple Mount may have a difficult time upholding their assertion that no Jewish temple ever existed there after archaeologists announced that a seal dating back to the First Temple has been found…in the garbage. The go-to guy on such matters, Jim Davila of Paleojudaica, has serious questions concerning the description and dating of the seal, but still…in the garbage? one peoples trash is another mans history? 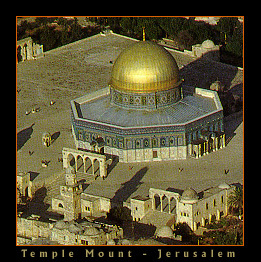 Prophet Abraham,Moses, David, Mohammad and all of the 124,000 messengers of Allah had prayed in this Holy Mosque.Moses, David, Jesus and Mohammad Allah’s messengers who had come to children of isreal to reveal to them the truth of thier religion-Islam.Mosque Aksah is everyones history. Have respect for the examples David, Moses, Jesus and Prophet Mohammad left to you. From the comment that you have made above I qoute, “one peoples trash is another mans history,” is the most low comment a zionist can make. Brush up on your history, are you realy following the true path of Abraham? I guess you are following the teachings of your elders and have considered that Islam, chritainity and other revelation related religions are also an effective part of humanity.